Its been a few years since we’ve heard Anton Newcombe really sing. The iconic underground musician’s new The Brian Jonestown Massacre EP entitled, + – has incorporated elements of soul and R&B instrumental and vocal styles that have rarely been so confidently executed in BJM‘s earlier work. Much like the last full length album Revelation, + – is self reflective and transparent without giving off a sense that he’s brooding or longing in a manner that is unhealthy or emotionally unproductive. The truth seems to be leaking out with lyrical explorations of what Newcombe expected of himself early in his life, what he achieved and the acceptance of the reality that he is in the middle of his life. Heat is a biographical track that is dependent on his vocal deliverance and lyrics. Of course, the instrumental vibe and guitar interlude are as classic BJM as they come, nonetheless, it does not seem like Newcombe is trying to be anything he’s not or anything he was in the past. The song is simply solid and does not attract much room for questioning or negative criticism. Everything Is Very Simple is an experimental track that plays with sampling and trip hop ambience. There’s a haze and a psychedelic gloss that coats this track. The mixing is well done because all of the elements of the song meld and weave throughout one another seamlessly. Reconstruction happens to be my favorite song on the album. It’s a chakra clearing soulful track that is catchy, comforting and relatable. The song is well placed on the album as it brings a peak to the full collection of the songs, creating a tonal arch. Anton’s voice sounds great and the guitar solo at the end of the song is inspiring and completely cleansing. 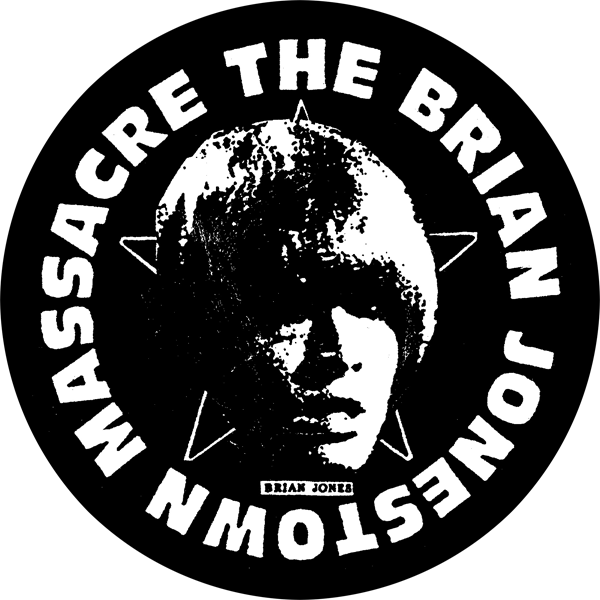 I would consider Reconstruction to be one of The Brian Jonestown Massacre’s best songs. 14 albums is a huge catalog but BJM is still outdoing itself. This does not mean that the next track Leave is Alone isn’t well crafted its own right. The bass line is a serious nod to BJM‘s earlier work so much so that is seems to parodying itself due to its recognizability. You can’t forget Newcombe’s sense of humor and irony when it comes to his compositions. The entire point of the band has been to revisit and rework music to create brand new sound scapes. Newcombe just seems to be Bringing it Back Home Again… to himself on this track. With the release of this album, I hope The Brian Jonestown Massacre doesn’t leave music alone any time soon. We all know I can write some grand statements, but I’d just like to express that +- is simply satisfying, well done and shows the validity of Newcombe’s musical vision. I think BJM stays relevant because Newcombe knows when to make giant leaps of transformation that can be shocking and a little confusing at times, but he also makes solid albums. +- is a the latter of the two. I do hope The Brian Jonestown Massacre stays on the compositional path that it is on for a while longer, but then again the interesting part about the band is that you never know what you’re going to get. The entire catalog has never been predictable. We as listeners continue to feel safe to grow up along side the music because it never makes us feel like we’re in a rut.